Farm diversification is an increasingly common practice all over the world. With increasing financial, environmental and market pressure, farm diversification offers farmers the opportunity to spread income risk and build resilience. 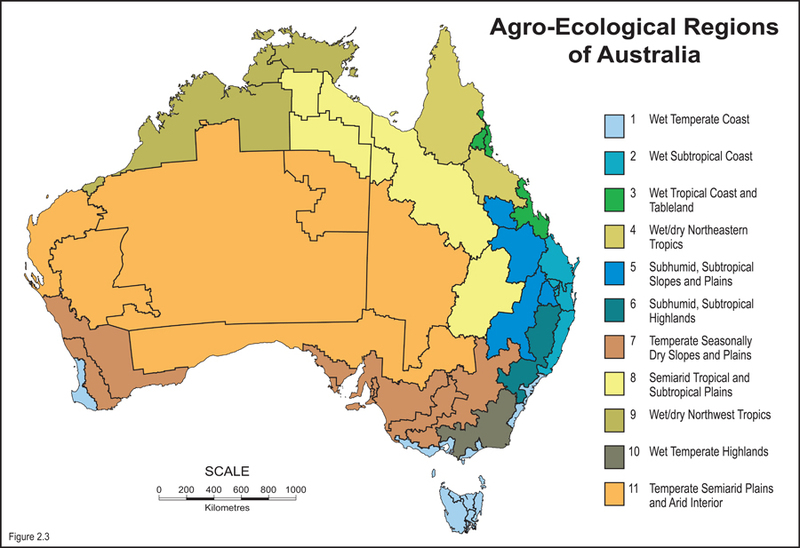 Farm Diversity is an AgriFutures Australia initiative that allows farmers to search crop and animal production alternatives by type or location to discover what is best suited to their farm. While the egg may have come first for Victorian farmer Brian Ahmed, what followed was far more diverse than simply chickens. At first glance, the Trevethan family’s farm business at Howlong, in southern New South Wales, looks like a typical broad-acre cropping, wool and prime lamb enterprise. The story of farming on Bernard and Margaret Brain’s property ‘Rotherwood’, at Ouse in Tasmania’s Derwent Valley, is one of constant evolution and refinement over more than half a century. Alpacas can be farmed for fibre, meat and leather but in Australia, are grown mainly for their fibre. Anise myrtle (Syzygium anisatum) is a native rainforest species that has leaves with strong liquorice and aniseed flavours. Apples (Malus domestica) are one of the most widely grown tree fruits in the world. The avocado (Persea americana) is a tree native to Mexico and Central America. Banksia plants belong to a genus of around 170 species native to Australia. Barley (Hordeum vulgare) is a widely grown and highly adaptable cereal crop that is grown predominantly for stockfeed and for malt for the brewing industry. Barramundi (Lates calcarifer) is considered an iconic fish of northern Australia. It is a large, majestic silver fish, which can grow to over one metre in length. Beef is the third most widely consumed meat in the world, after pork and poultry. Hone ybees are kept primarily for honey, bees wax, package bees and, increasingly, to provide pollination services for food and seed crops. Bitter melon (Momordica charantia), also known as fu qua, ampalaya, bitter gourd, balsam pear and alligator pear, is a member of the Cucurbitaceae family. Tea is produced by harvesting the fresh shoots of the tea plant, an evergreen shrub or small tree, with dark green glossy leaves and small white flowers. Blackwood (Acacia melanoxylon) is a member of the wattle family. Boronia is a genus of small shrubs, with approximately 95 species and all but one are native to Australia. The water buffalo has many uses and in Asia even though it is primarily a dairy animal, it is also an important source of meat, draft power and leather. The greatest numbers in the world reside in India, Pakistan and China. Bush tomato (Solanum centrale) belongs to the Solanaceae family, which includes plants such as potato, tomato, eggplant, capsicum and chilli. Californian redwood (Sequoia sempervirens) is the tallest tree species on Earth, growing to over 100 metres in height and about three metres in diameter. Canola belongs to the botanical family Brassicaceae, which also includes mustard, turnip, wild radish, cauliflower, cabbage and broccoli. Centipeda cunninghamii is a native Australian plant, found predominantly in south eastern Australia in moist but not flooded soils, near rivers and around wetlands and billabongs. Chickpeas were one of the earliest cultivated legumes and have been growing in the Middle East for many thousands of years. The Chinese Jujube (Ziziphus jujuba Mill.) is one of the most important fruit crops in China and has been consumed as a food and used in traditional Chinese medicine for thousands of years.